Hi, I'm Dr. Tiffany Harris and I am pleased to welcome you to First Choice Chiropractic. We are a family-oriented practice conveniently located on the border of Peoria, Glendale, and Phoenix, AZ. Our Peoria Chiropractic office utilizes a variety of patient-specific, gentle Chiropractic adjusting techniques. We have been caring for patients for well over 12 years and have successfully helped our patients find relief from back pain, neck pain, headaches, sciatica and herniated discs. We also love helping children with ear infections, asthma, colic, allergies, ADHD, autism, reflux and more. Call us today and embark on the road to wellness! 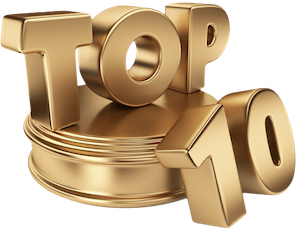 We are honored to have been chosen as one of the Top 10 Chiropractors in Arizona. This can only happen by having amazing patients that come to our practice and then share the message of chiropractic care with others. Our practice is always humbled by the referrals we see from others. It also lets us know we are doing a few things right. Give us a call today and find out why so many others voted us Top 10.